Dainty Dollymix UK Beauty Blog: The Most Perfect Pyjamas? I have just stumbled upon these most amazing Pyjamas from Primark of all places and I just had to share them with you. 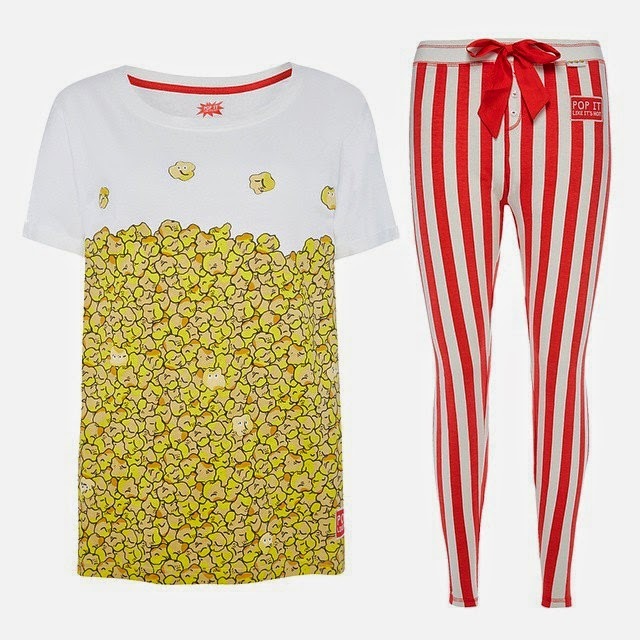 Who doesn't want to look like a giant stripey tub of popcorn? I know that i certainly do! I definitely need to hunt them down! That is my quest for the week! I contemplated splurging on a set that someone is selling on eBay, but for £20! The top retails for £4 and the bottoms for £5. Fingers crossed I can get my hands on a pair! Im pretty sure that Topshop do something extremely similar, for £26 but are sold out so I would happily settle for a Primark pair! They are cute but I spent five years working at a cinema so I probably don't ever need to see popcorn again haha!